What Happened To The Blog?! As some of you may have noticed, there has not been a new post on the blog for four months. Up until July, I had given myself the goal of adding at least four posts per month. I think I got two done in July but nothing has been posted since the 5th of July. So what happened? I had two book manuscripts (more on those in the near future) pending and time simply was too short to continue posting things on the site. I tried to keep up with the Facebook page, but even that got neglected after a while. Most of July and August was spent out in the field finishing up the research necessary for the books and September was a blur completing the manuscripts. The first was due at the beginning of October and the second was due two weeks later. Once both manuscripts were submitted, my dad and I took a roadtrip out to Dallas, TX. It was a mix of business and pleasure and a great trip. So, even though the editing process has commenced for the manuscripts, I now have time to resume the blog, if anyone still cares to read it. I hope to have a more substantive post up by the end of the day. Just for fun, here are a few images I took from the roadtrip to Texas. These aren’t particularly great and they were all taken from the side of the road, but it sure is a testimony to how spectacular driving through the western U.S. is. Aspens line the East Fork of Lamoille Creek. The sun lights the summit of Mount Fitzgerald in the Ruby Mountains. 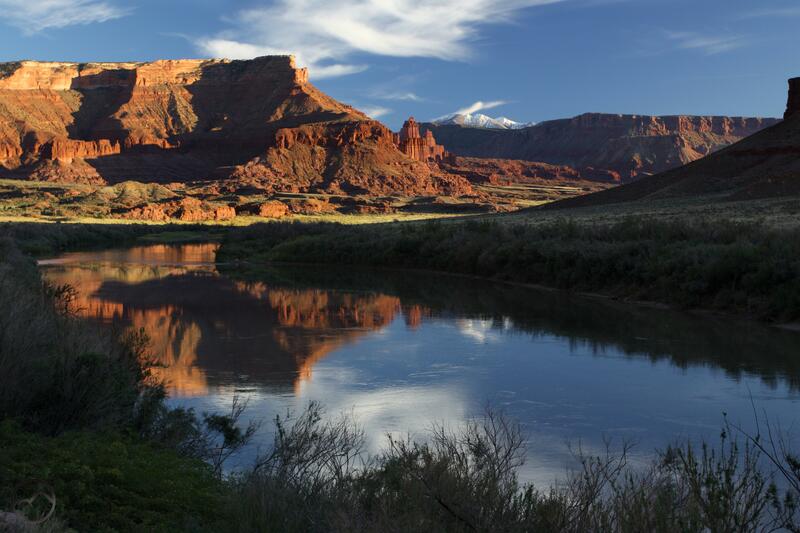 The Colorado River reflects the mighty Fisher Towers and the snow capped La Sal Mountains. 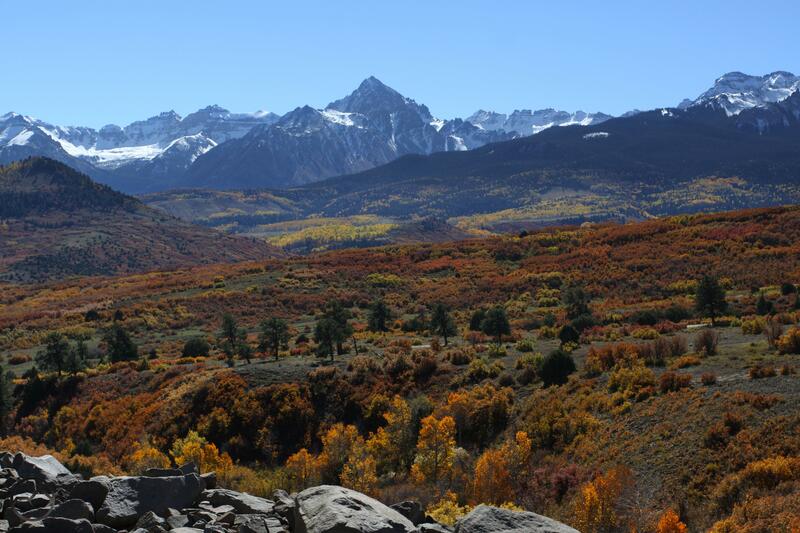 Incredible fall color highlights the view of Mount Sneffels. 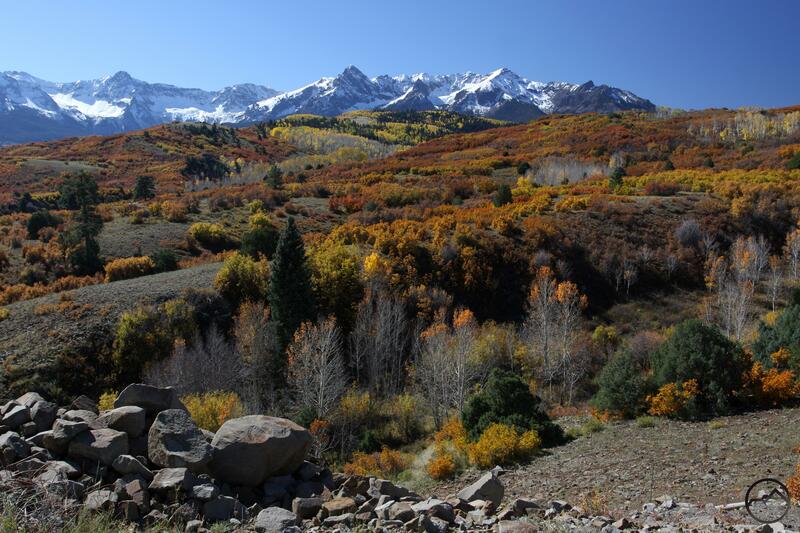 Another view of fall color below the towering Sneffels Range. 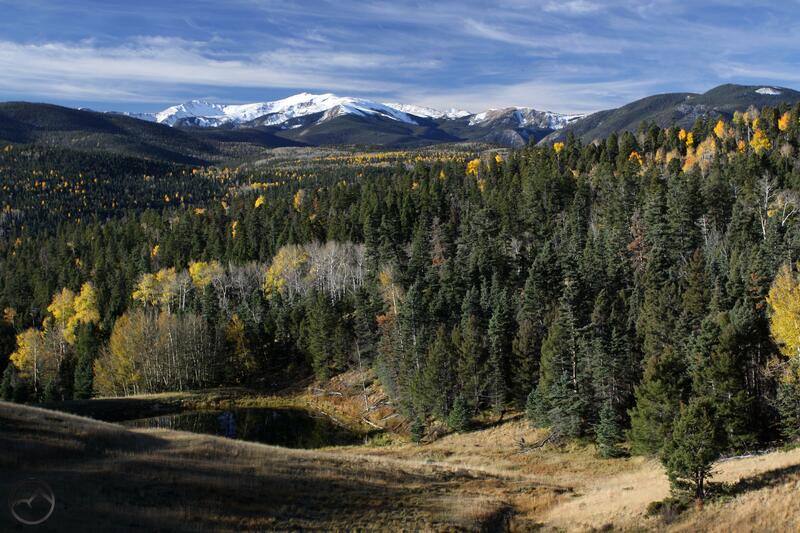 Wheeler Peak, the highest point in New Mexico. 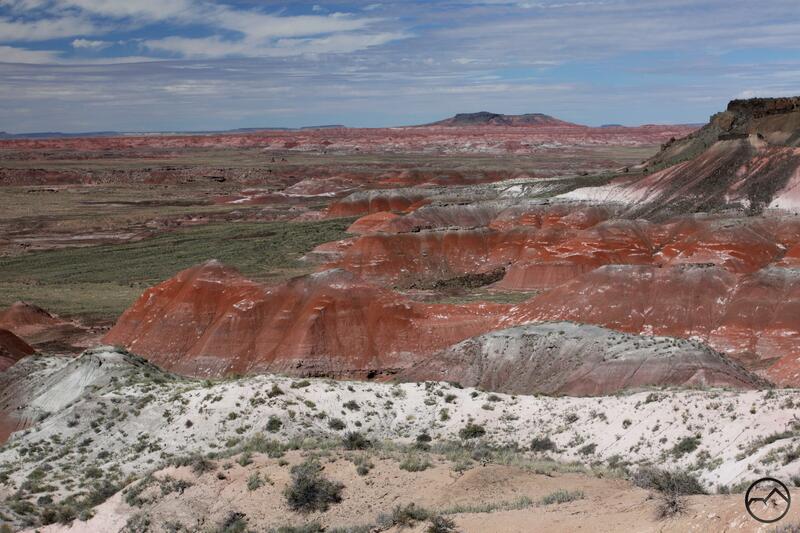 Pilot Rock, in the Painted Desert. Nice, Bubba! 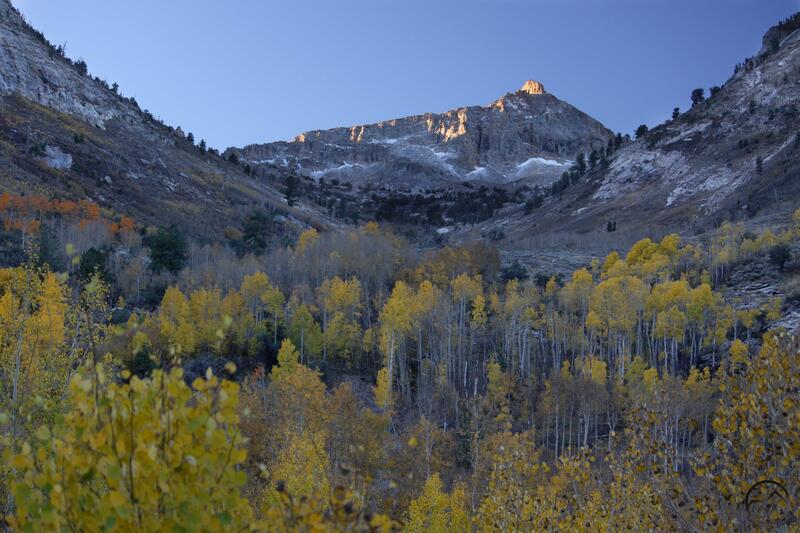 You hit Lamoille at a great time – when exactly was that? I’m trying to take some notes and start developing a sense of the timing of Nevada fall color, not an easy task given the paucity of timely updates. Can’t wait to hear more about the books! We got to Lamoille around the 14th or 15th. Something like that. If you ever plan a fall trip to the Toiyabe or Toquima Ranges, let me know. I have had a real jones to get up there! Great shots, Bubba! 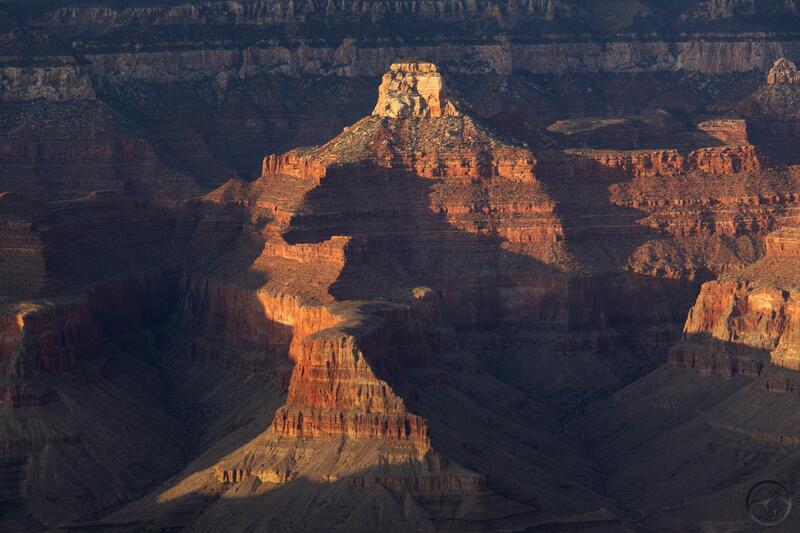 We’ve been to all of these places-Fall s so special in the Southwest and Nevada. I especially liked seeing the photo of Wheeler Peak in NM. My brother in law, at age 70, summited that mtn with friends. Glad you managed a road trip with all your book stuff happening! 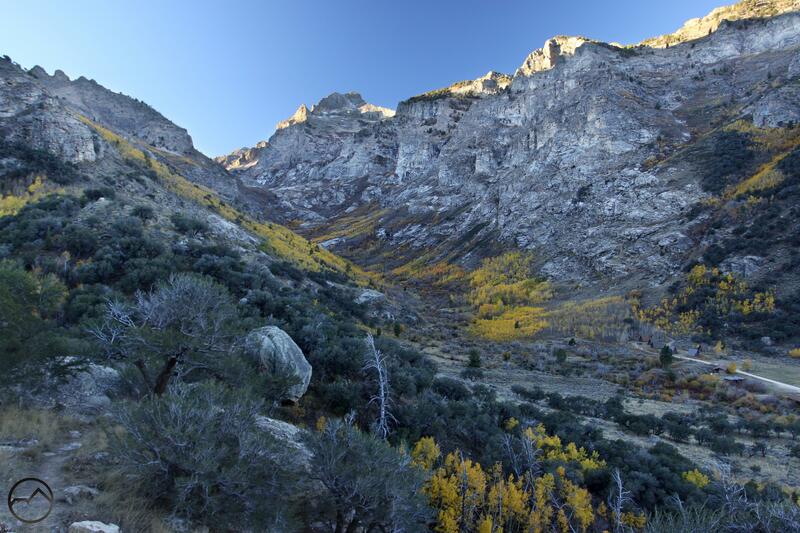 Love those pictures….Lamoille and the Ruby Mountains are special to us, and your fall color shots are unbeatable. Thanks! Thank you for saying that. I really appreciate the sentiment and it means a lot that someone has enjoyed reading what I wrote, especially if it helps keep you in contact with a part of the world that you obviously love! Welcome back. And congratulations on the books. I drafted a walking guide on Sonoma County last November – but can’t seem to finish it with maps and pictures. So, I appreciated your effort. Thanks much. I know what you mean maps and such. They can be a real challenge.